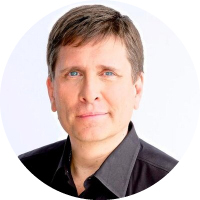 John Nosta was recently named as the number one influencer in health tech. He is a THINKER focused on the world of SCIENCE, MEDICINE and INNOVATION. He is regarded as one of the top global STRATEGISTS and CREATIVE minds in the life science industry. He is also the founder of NostaLab– a think tank focused on navigating change in an exponential world for the life science industry. He’s also an in-demand speaker at global conferences, workshops & seminars. A leading voice in the convergence of technology and health, Nosta helps define, dissect and deliberate global trends in digital health. He is consistently ranked among the top names in almost every digital list and has sustained that position for several years. Beyond simply an influencer, John is also defined as “most admired” to “top disruptor” in digital health, life sciences and the pharmaceutical industry. He is also a member of the Google Health Advisory Board and pens HEALTH CRITICAL for Forbes and THE DIGITAL SELF for Psychology Today–top global blogs on health and technology. Additionally, John has distinguished himself as a scientific thinker. Earlier in his career, John was a research associate at Harvard Medical School and has co-authored several papers with global thought-leaders in the field of cardiovascular physiology. John cut his teeth at the “big” agencies including Ogilvy CommonHealth, where he has held a series of positions including Chief Creative Officer, Chief Strategic Officer and unit President. HOW DID YOU GET TO BECOME AN EXPERT IN HEALTHTECH? My background is in science and marketing. Early in my education, I was a research associate at Harvard Medical School and studied cardiovascular medicine. However, I felt that medicine wasn’t right for me and looked in more “creative ventures”. That’s where my science training intersected with marketing. I never looked back. My level of health tech expertise really resulted in this new abaility to be “bilingual”— to speak both medicine and marketing. This is a skill that has worked to differentiate my career and build my business. WHAT AREAS OF HEALTHTECH ARE YOU MOST PASSIONATE ABOUT? The single-most important area for me is data. And I guess you can say “big data” as a more accurate reflection of what’s going on. Just like Gutenberg and Google, data and knowledge have become game-changing power that is in the hands of everyone—from patients to clinicians. Big data is emerging as the third window into humanity following the microscope and telescope. This will have a tremendous impact on society and wil actually advance human evolution. Similarly, clinical practice will advance to new and amazing levels of accuracy. While big data will be at the heart of this, other central advances will play a synergistic role in bring data to life. Of course, central to this will be artificial intelligence. AI will be the tool to transform the big data tsunami into practical applications. Alone the road, there will be bumps, as insights and revelations will shock humanity to its very core, but in the final analysis, AI and big data will emerge as a defining aspect of humanity and the practice of medicine. Another key area will be the role of very early diagnosis—stage zero disease. We will see that prevention (by old-school tactics like diet and exercise) will give way to early detection and treatment at a subclinical level. Further, the idea of biological regeneration will add another key dimension to this concept. Just as we have “check engine lights” for our car, we will see “check body lights” that drive interventions. Interestingly, with advances in areas like stem cells science, we will drive repair and recovery that will advance life expansion and extension. I’m influenced by ideas less than individuals. That’s one of the reasons that I follow many people, from students to thought-leaders. You never really know where the big ideas come from and an open ear and mind can go a long way. As for individuals, I follow many eclectic thinkers that cross industry. And I’m honored to have them follow me back. Some these names include Mark Cuban, Vala Afshar, John Sculley, C. Michael Gibson MD, Tony Robbins, Harvard Medical School, Peter Diamandis, and Daniel Kraft. The key point is that I follow many folks. And I find the reciprocal engagements to be central to how we influence each other. The central point is that I don’t want to differentiate health tech influencers from those who aren’t in this industry. I’m a big fan of AliveCor. I believe that Dave Albert and the team have leveraged sound clinical medicine and validation to create a product that fills a key marketplace need. I’m also a big fan of telemedicine—in a more abstract way. Companies like MDLive are building the technological infrastructure to truly disrupt medicine. The uptake has been more difficult, but the promise of telemedicine is big and bold. It’s really offering the first line of defense in care. The biggest role I can see playing is helping companies think. I don’t want to be your advertising agency or PR firm. I want to make them better my leveraging my insights in this marketplace as an active participant. From strategy to tactics, I’m interesting in providing solutions that make the competition cry foul!